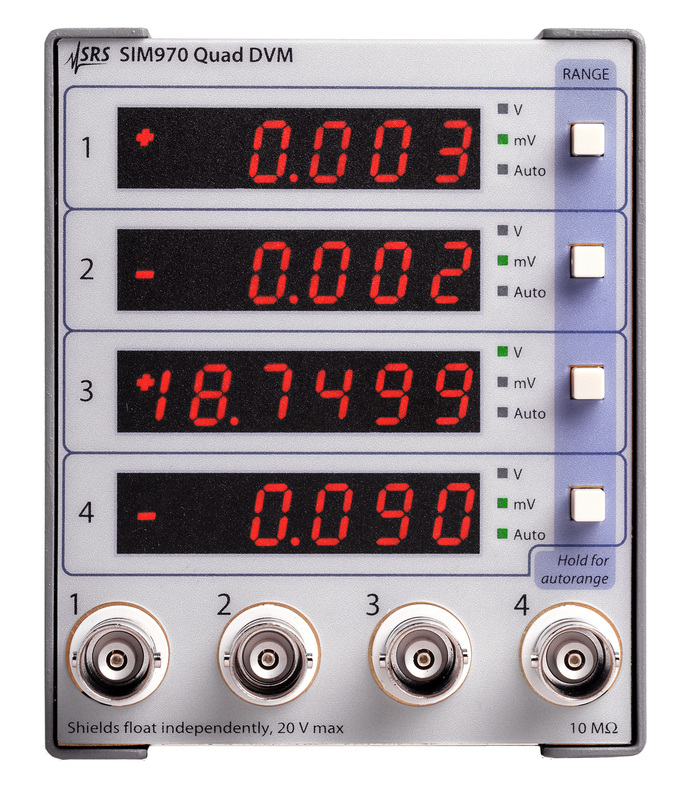 The SIM970 Quad Digital Voltmeter is designed to make precision DC voltage measurements with excellent long-term accuracy. For applications in which many voltages must be monitored, up to 16 DVM channels can be put into one SIM900 mainframe. Four voltage ranges from ±199.999 mV to ±19.9999 V can be autoranged or manually selected. The SIM970 Quad Digital Voltmeter is designed to make precision DC voltage measurements with excellent long-term accuracy. For applications in which many voltages must be monitored, up to 16 DVM channels can be put into one SIM900 mainframe. Four voltage ranges from ±199.999 mV to ±19.9999 V can be autoranged or manually selected. An external trigger input allows synchronization of voltage readings on all four channels for critical applications requiring coincidental readings. A BUSY output gives a TTL (logic high) when readings are being taken. Autocalibration is performed with every reading by sequentially measuring not only the input voltage, but also the ground and the full-scale voltages against a calibrated internal reference. This autocalibration routine virtually eliminates offsets and scale errors, and ensures smooth range-to-range transitions. The bright front-panel LED display shows updated readings three times per second. Computer access through the SIM900 mainframe (RS-232 or GPIB) permits data logging with 24 bits of resolution. All channels are isolated from ground, and from each other. 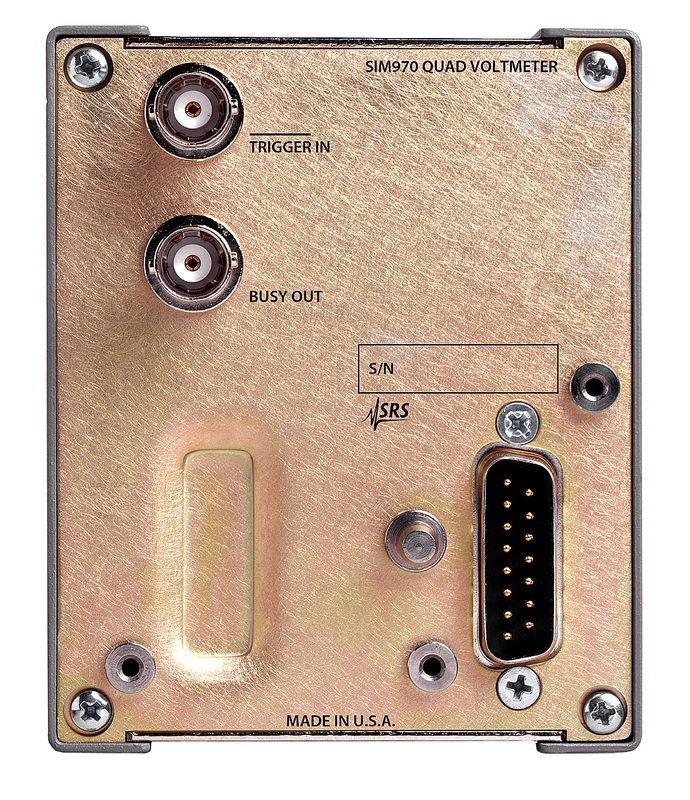 The SIM970 uses isolated BNC connectors for inputs so coaxial cables can be used for reduced noise pickup.